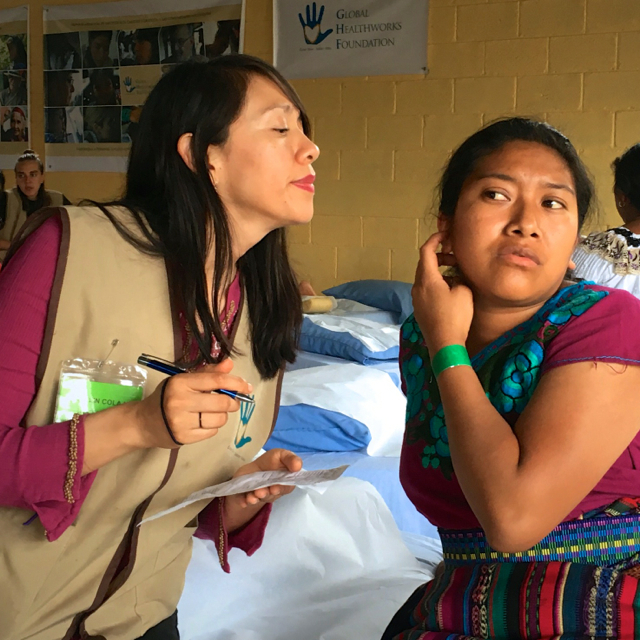 GHF’s local team of interpreters play a huge role in the success of our medical outreach work in Guatemala. 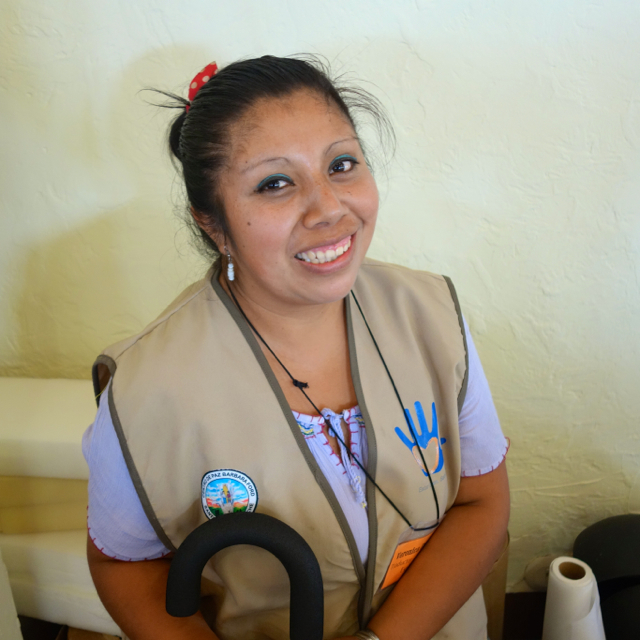 They do a fantastic job translating four languages: English, Spanish and two of the indigenous Mayan dialects – K'iche' and Ixil. 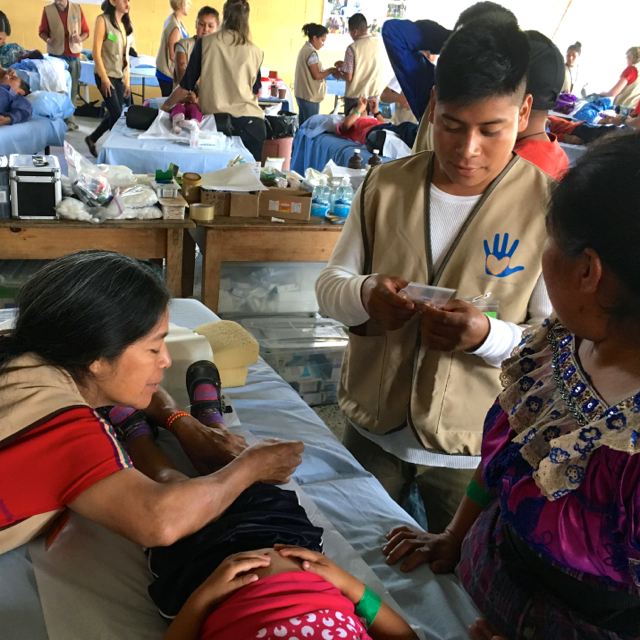 They are a true asset to their communities, and we are incredibly grateful for all they do for our outreach teams and the Guatemalan people. 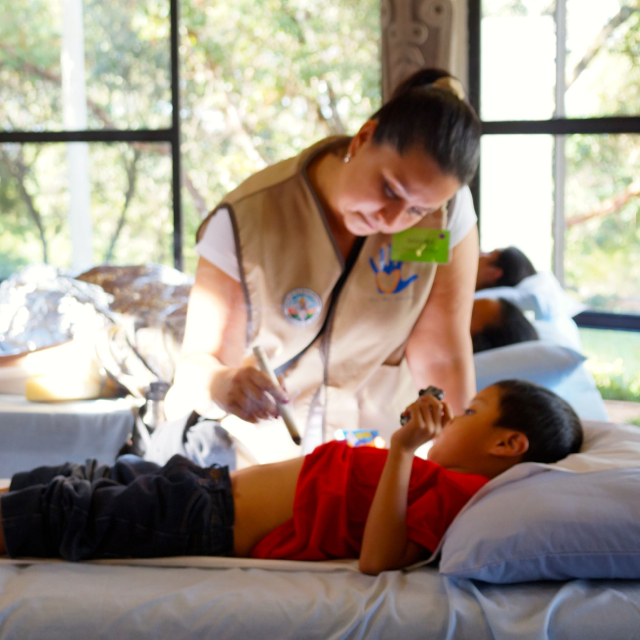 Read about the great work these local translators do for Global Healthworks Foundation below. 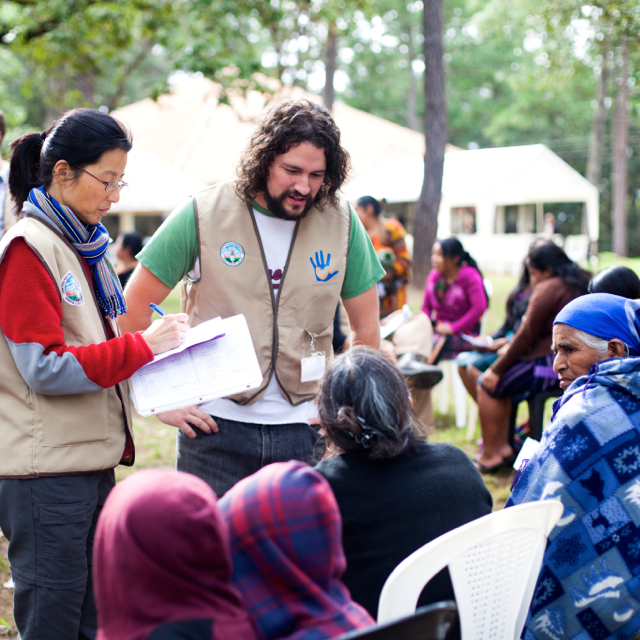 It’s the third day of the October 2014 jornada (medical mission), and the team seems to have found its groove. Patients are moving smoothly from station to station, the supply table is stocked and organized, and practitioners and interpreters have discovered an effective system of communication. Before acupuncturist Christiane Mauro even needs to ask, Sara Aguilar, her Spanish-English interpreter for the day, greets the patient lying on the treatment table before them. “¿Cómo le podemos ayudar? (How can we help you? )” Sara asks the elderly man. As soon as he responds, she explains his complaints to Christiane in near-perfect English. “He says he has a headache and has trouble sleeping. And he’s suffering from gastritis.” With complete trust in Sara’s translation, Christiane grabs her needles and begins her treatment.